Van der Breggen, the world's top road cyclist, teams up with MTB veteran Langvad for eight-day Cape Epic stage race. For her run at a fifth Absa Cape Epic title, Annika Langvad will have a high-powered but unexpected teammate at her side in South Africa this March: world road champion Anna van der Breggen. 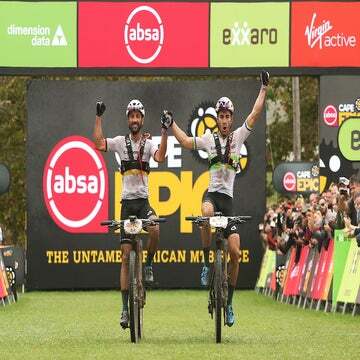 Race organizers confirmed Wednesday that the reigning Cape Epic champ Langvad will team up with van der Breggen, who is perhaps the world’s most dominant road cyclist. As is customary in the eight-stage mountain bike race, March 17-24, they will race as a duo, representing Investec-Songo-Specialized. This comes on the heels of news that Langvad has joined van der Breggen’s powerhouse Boels-Dolmans team for 2019. 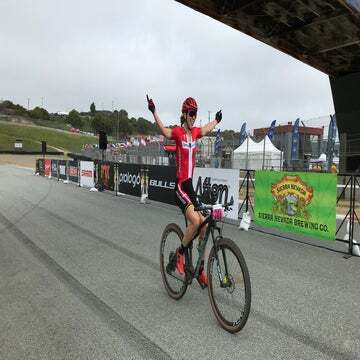 Langvad, a former world cross-country champion and the reigning marathon champion, will blend in some road races with her World Cup mountain bike season. Langvad raced the road world championships in Innsbruck, Austria in September 2018, finishing 37th. Similarly, van der Breggen dabbled in mountain bike racing last season, finishing 30th in the Val di Sole World Cup XC in July. Fortunately for van der Breggen, Langvad has a history of guiding first-time racers through the Cape Epic. In 2018, she won the race with American Kate Courtney who was also new to the race. Given that the Cape Epic often has stretches of long, windy fire roads, which put a premium on tactics and drafting, a powerful rider like van der Breggen, winner of Flèche Wallone, Liège-Bastogne-Liège, Amstel Gold, and Tour of Flanders, may be well-suited for the challenge.